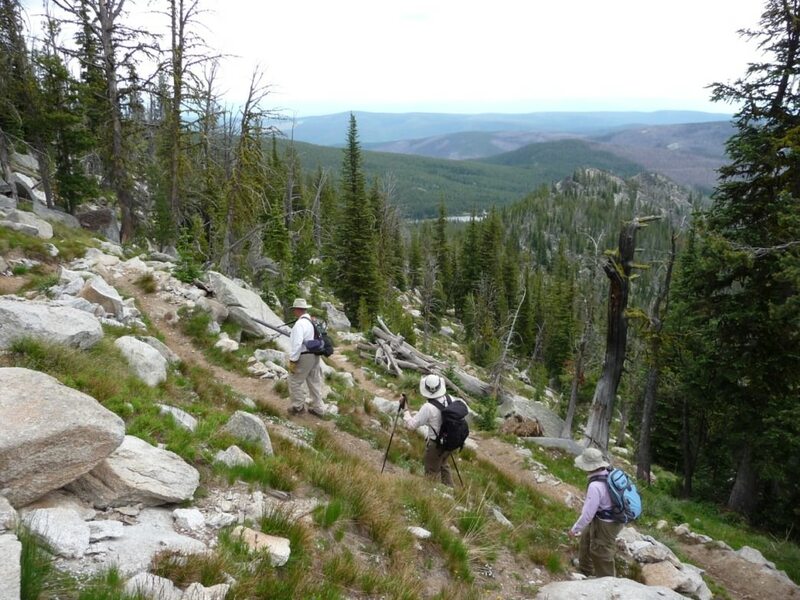 Idaho’s magnificent Gospel Hump Wilderness is up and down, sideways and crossways. At least that’s the way a hiker’s feet feel after a long trek in the 206,000-acre wilderness area, which stretches from the central part of the state all the way to the northern reaches. Some terrain in the Gospel Hump drops thousands of feet in less than a mile, with elevations varying from 1,970 feet at the Wind River Pack Bridge along the Salmon River to 8,940 feet at the summit of Buffalo Hump. The landscape ranges from heavily forested in the north to dry, sparsely vegetated mountainsides in the south. From gray granite alpine ridges, hikers can see emerald mountain lakes dotting the landscape and high peaks in the distance. It’s an intriguing area that requires a good pair of hiking boots to explore—and comes with the rewards of serious solitude. Not many people use the area except for dedicated horseback riders, backpackers, and hunters. 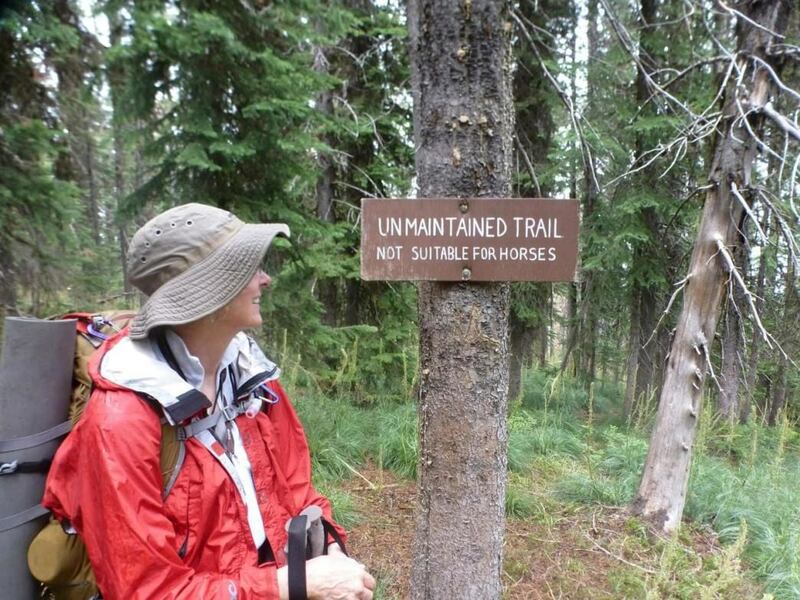 Trailheads can be 20 to 30 miles from the pavement and off some of the roughest roads in Idaho. 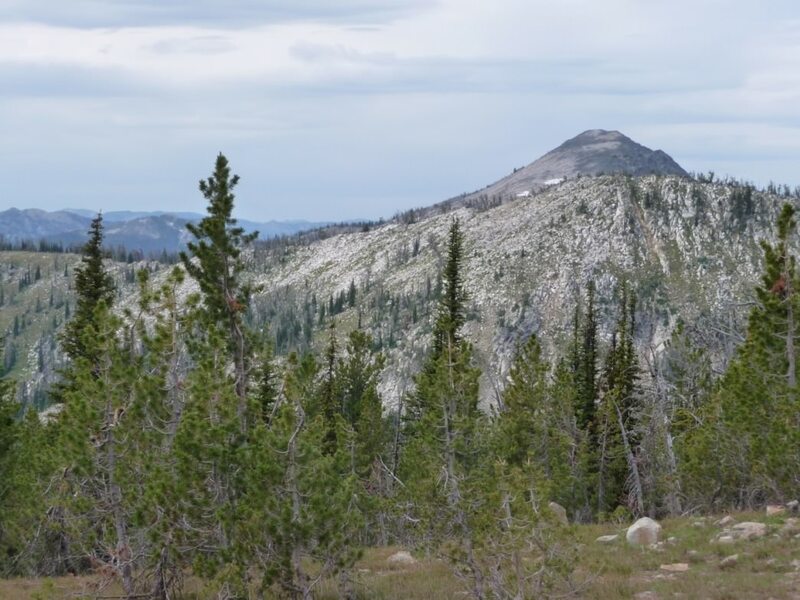 Even backcountry veterans admit it’s rough country: “It’s tough to get there, and people hardly know it’s there,” says Jonathan Oppenheimer, a longtime member of the Idaho Conservation League. In addition, cell phone service is sparse to nonexistent. But for the ambitious adventurer, the rewards of this rugged landscape are many, and attainable with a little advance planning. Ready to find your own adventure in Gospel Hump? Here are four ways to explore this off-the-radar wilderness. Iridescent mountain ridges, carpeted in pine and fir and spiced with gray-white granite outcroppings, stretch in all directions along the Grangeville-Salmon Road in Central Idaho. The road leads to vistas of the Salmon River canyon, the Seven Devils on the Oregon-Idaho border, Camas Prairie, and the Gospel Hump Wilderness itself. This road offers opportunities for several hikes into the wilderness with base camps along the road. It’s the perfect set-up for car camping, with ample opportunities for day trips into the wilderness. To get there from the town of Grangeville, drive scenic Forest Road 221, the Grangeville-Salmon Road, heading south. It goes all the way to the Salmon River, east of Riggins, but you won’t be going that far. 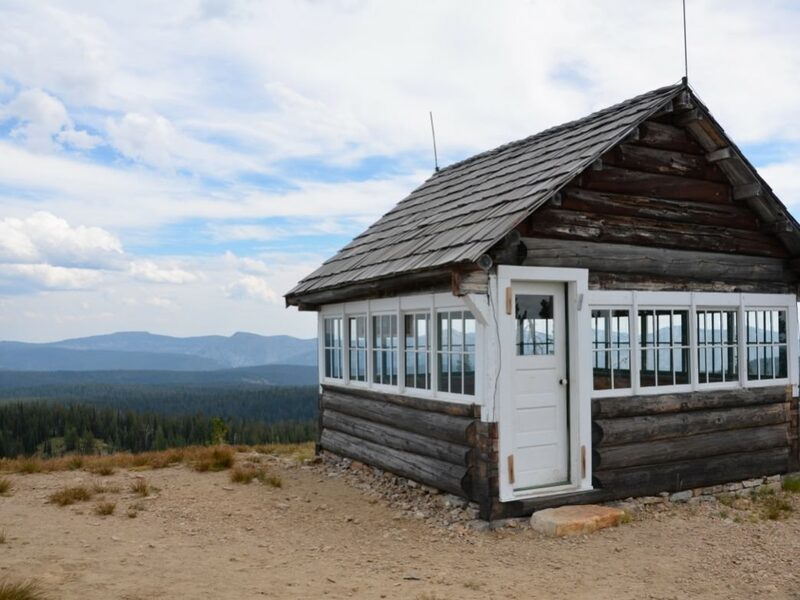 About halfway between the town and the river, look for Forest Road 444, which heads east and dead-ends at Square Mountain Lookout. There are several trailheads located off Forest Road 444. At about two miles in from the Grangeville-Salmon Road, an ATV trail on the right leads to Slate Lake. It’s also open to hiking, but it’s five miles long, so plan accordingly. About four miles farther on Forest Road 444, keep a keen eye out for a hidden trail on the left that goes to Lower Gospel Lake. The trail is marked by a pile of rocks on the side of the road, but it’s easy to miss. It’s about one mile down in elevation to the lake, but it’s well worth the effort. And don’t forget the fishing rod: The lake is full of trout for dinner and gives hikers an excellent perspective of the Gospel Hump Wilderness, with its alpine lakes hidden in granite canyons. At about 5 .5 miles in on Road 444 is a turnoff and trailhead for Slate Lake, another alpine lake, that can be accessed via a one-mile hike. Continue a short distance on Road 444 to reach a viewpoint with fantastic vistas of Gospel Lake. It’s straight downhill to the lake and very tempting to hikers. But it looks easier than it is. There’s really not a good trail option that reaches the lake; instead, hikers just traverse the steep side hills. It’s a strenuous hike back out to the road. Continue on 444 and another trailhead to Moores Lake is off to the left. It’s about a 4-mile hike to the lake with opportunities for overnight camping and fishing. Square Mountain Lookout is about 12 miles in on Road 444. 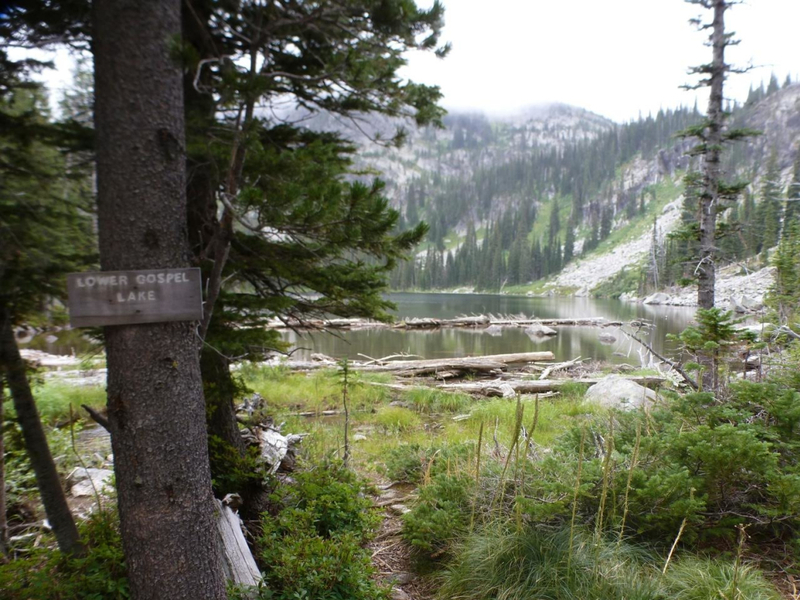 There are a couple of trailheads near the lookout where hikers can travel three miles to Twin Lakes in the wilderness area. The trail also goes 15 miles across the wilderness area to the Wildhorse Lake trailhead on the east side. The Wildhorse Lake Campground is about 22 miles from the highway, and the last bone-jarring mile—high clearance and good tires are required—may make you wonder if the trip is worth the trouble. But if you’re seeking solitude and epic hikes, this is just the spot. 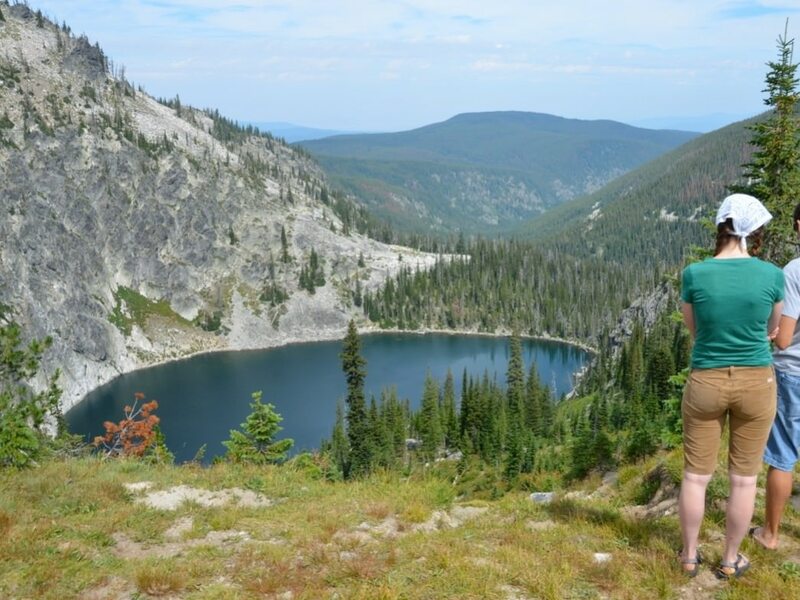 From Wildhorse Lake, hikers have opportunities to explore several alpine lakes and also can hike across the wilderness area back to Square Mountain Lookout on the west side. To get there from Grangeville, drive Idaho state highway 14 to the turnoff for the Crooked River/Orogande Road (Forest Road 233) to Wildhorse Lake Campground. Keep in mind that the last mile of the 22-mile trip is extremely very rocky (hence that requirement for high clearance and good tires). The Wind River Bridge, the main pack bridge going into the wilderness area from the south, offers miles of hiking in desolate terrain with dry open slopes. Not many hikers even consider this area except in late spring or early in the summer, when the terrain is still wet from spring rains and high elevations in the wilderness still have snow. Trails eventually end up at the Square Mountain Lookout.